These stickers make it measure and detect the eyebrows’ up and down position, length, and size. It’s both convenient and practical. 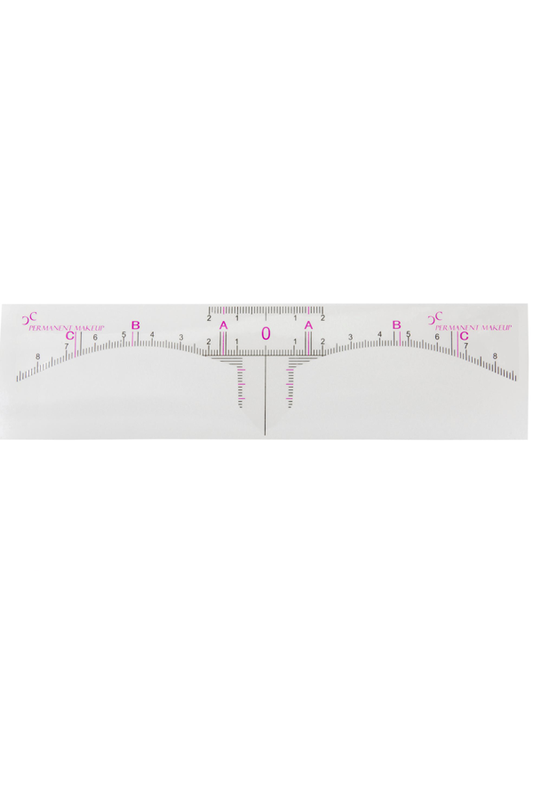 Compared to conventional plastic rulers, this sticker is more accurate due to its tight adhesion to the skin. It’s extremely effective in shaping and measuring eyebrows and good for accurate, symmetrical marking. Allows for great accuracy and symmetry to help the artist in the beginning stages of permanent makeup. The measurements on this sticker are derived from golden mean proportions and work perfectly on any face.